Snow! It is snowed here yesterday and it is still beautiful today! 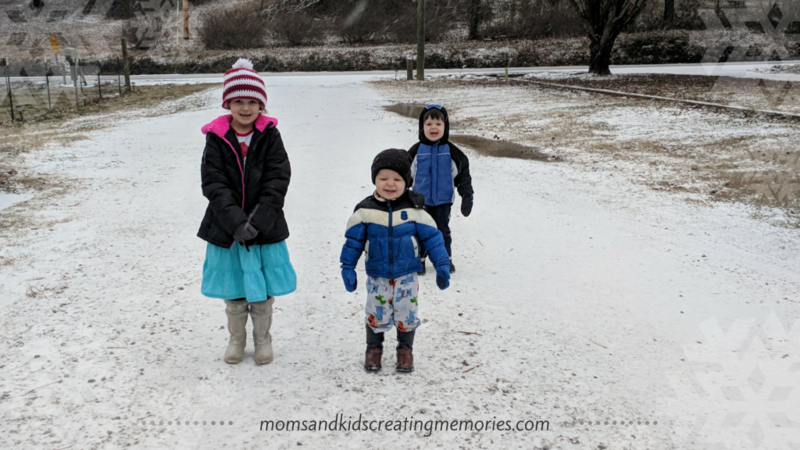 We don’t get snow here very often and when we do it isn’t much but my kids are so excited! So since it wasn’t much snow and it was freezing we couldn’t stay outside for long so we decided to do some snow crafts. 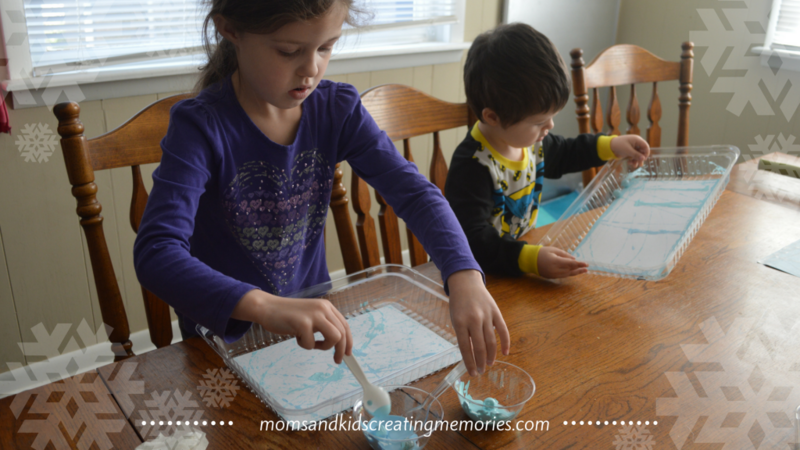 Both of these snow crafts are easy to do and so much fun. Today we made marble painted snowflakes and marble painted snowglobes. 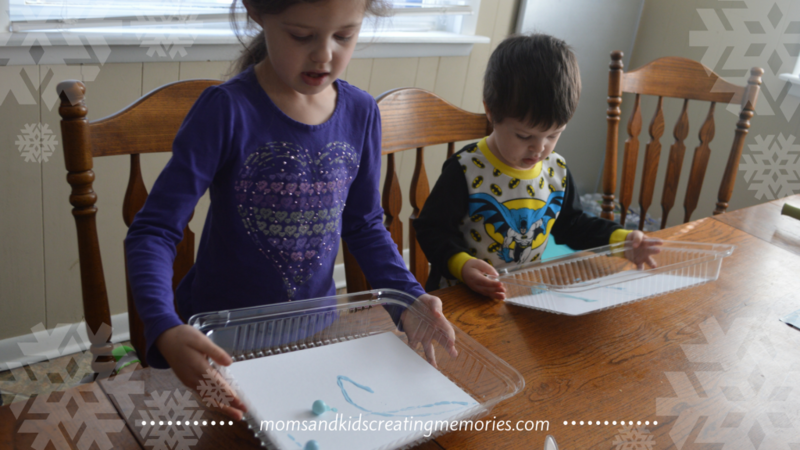 Check out our fun snow crafts. 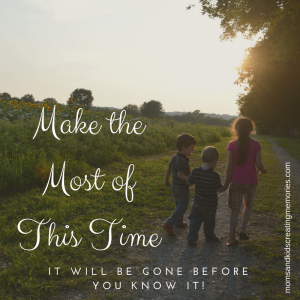 So once your supplies are gathered and your kids are ready to go it is time for the fun to start. 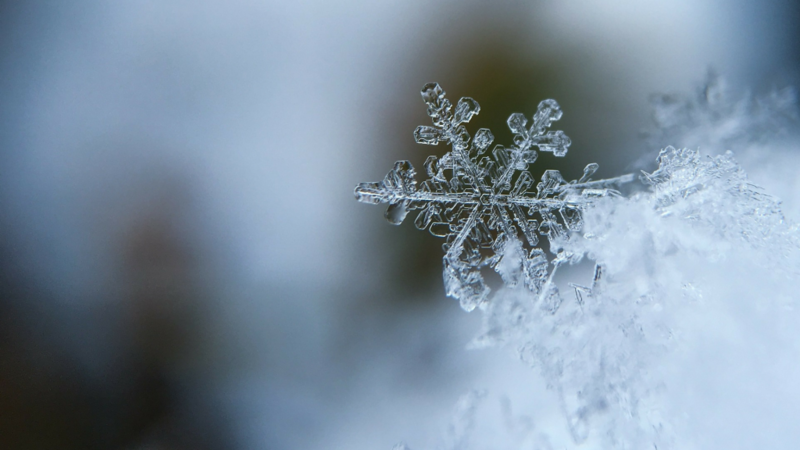 When you are doing this snow craft you can talk about how snowflakes are so different and how God made each of us different just like he makes snowflakes each different. If it happens to be snowing where you live you might be able to see snowflakes. We could see the little snowflakes yesterday and they were beautiful and it was so fun to see the kids get so excited about it. Now for the fun. Put some paint in the bowls, add the marbles and cover them in paint. You might need to trim your cardstock depending on the size of the container you are painting in. My favorite paper cutter is this one and I use it all the time. If you don’t have paper cutter just use some scissors to trim it to the right size. 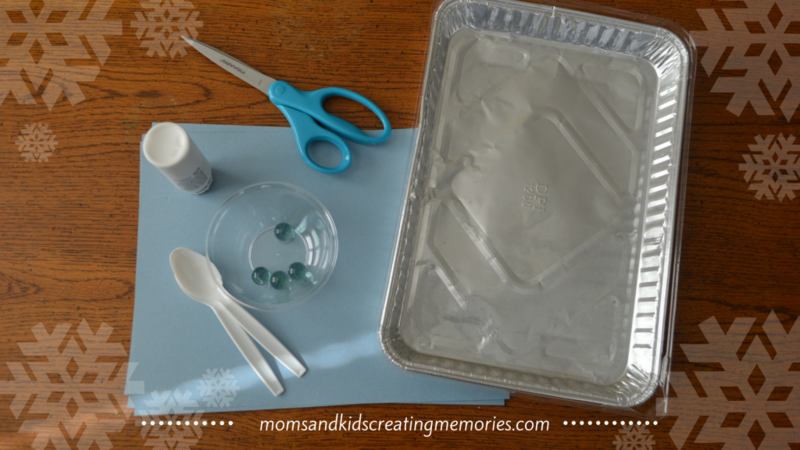 So put your cardstock in the container, drop some marbles on it, cover it if you have a cover and let your kids roll till their heart’s content. 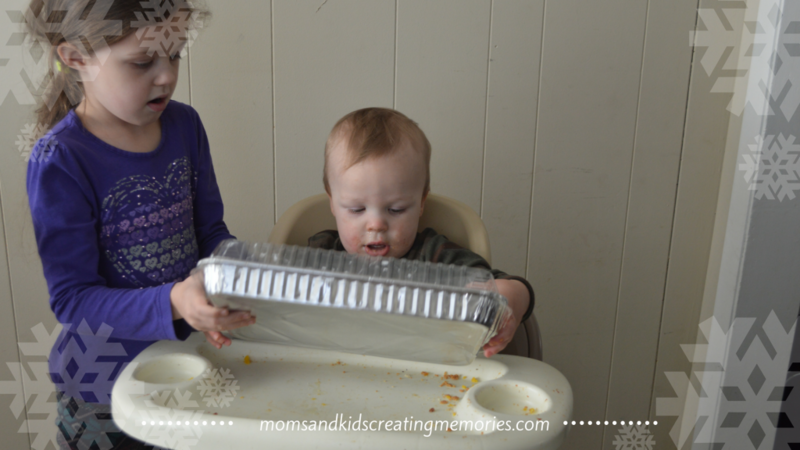 With the lid on even my one year old could do this with a little bit of help. My two year old loves doing this, even though he dropped the marbles out of the container a few times. My six year old could pretty much do this all by herself, even putting the marbles on the paper. When the paint has all come off the marbles just put them back in the paint to cover them again and put them back on your paper. My one year old did it just one time but my six year old put the marble back in the paint I think three times. You could just give them more paper if they want to keep doing it. Once they are done marble painting I take the paper out the container and set them to the side to dry. 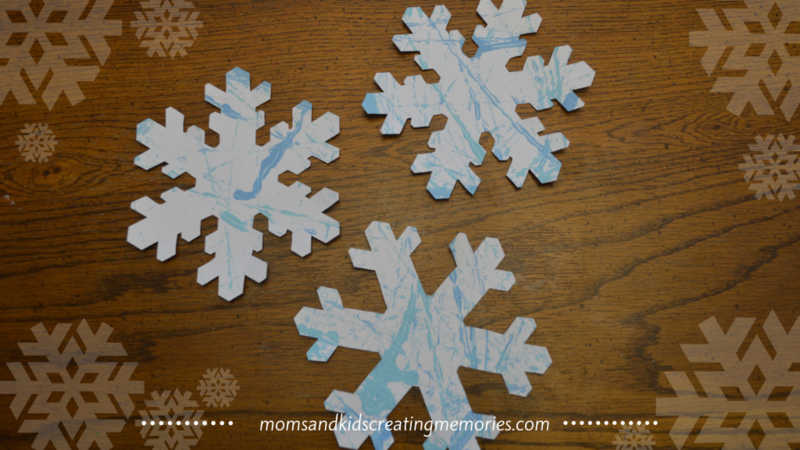 Once they are dry cut out your own snowflake design our find a snowflake template online. 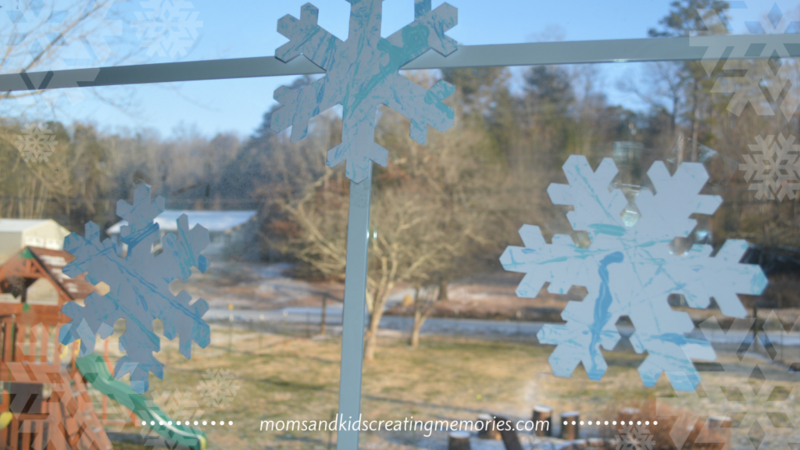 After I finished cutting my kids snowflakes out I taped them on the window in the living room so they could enjoy their personalized snow craft. 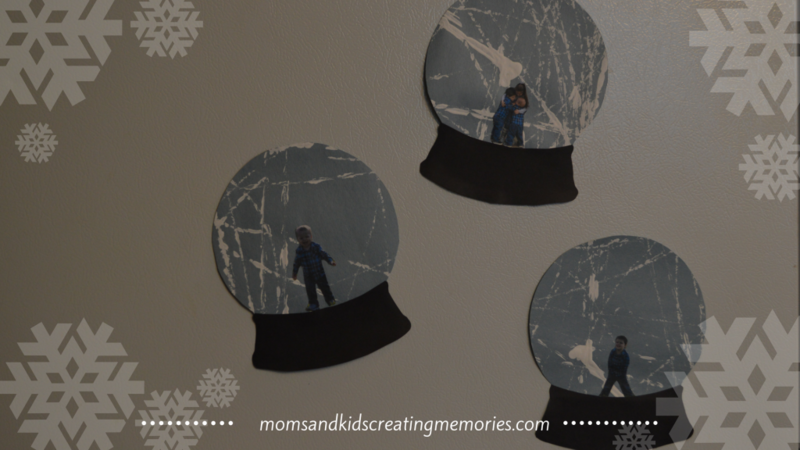 So the next snow craft is having your kids make a snow globe. 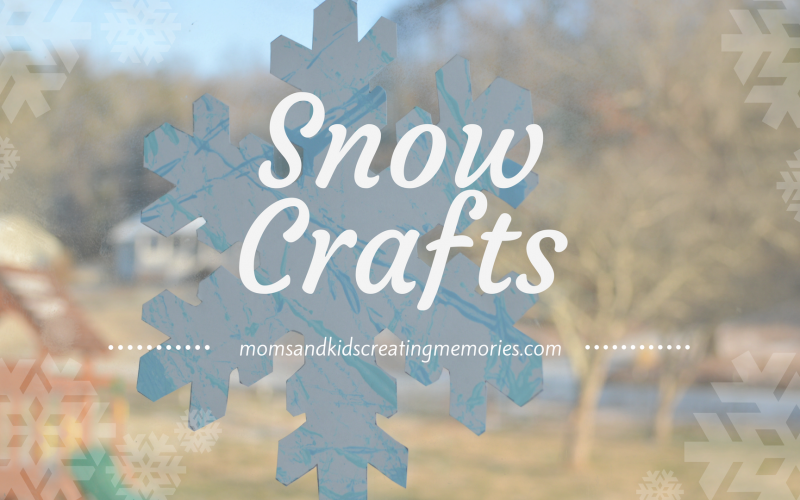 You need a few different supplies than the snowflake snow craft but a lot of them are the same. 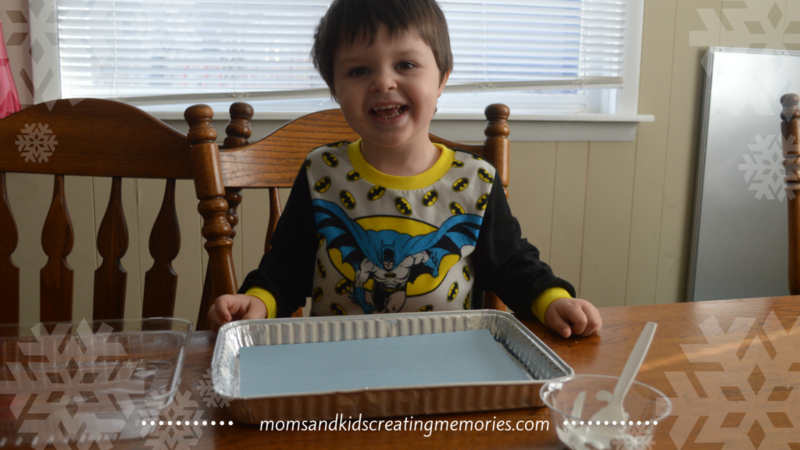 We did these crafts at the same time and you could too. So let’s just started on this fun snow craft. 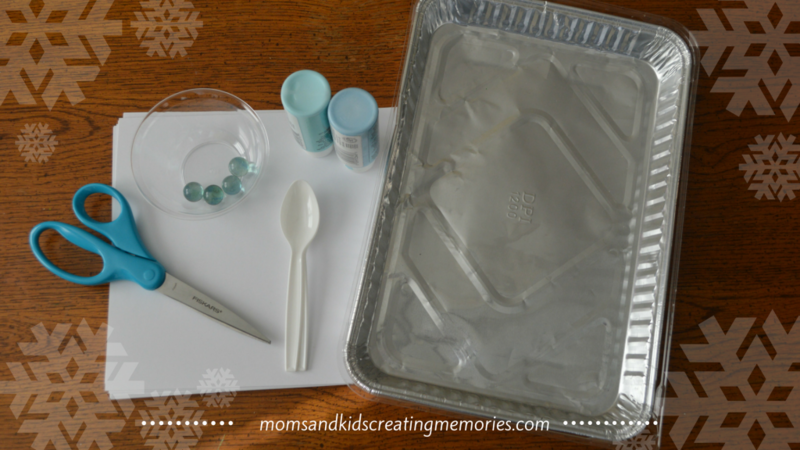 So just like with the snowflake snow craft you just have to get the supplies together and get started. 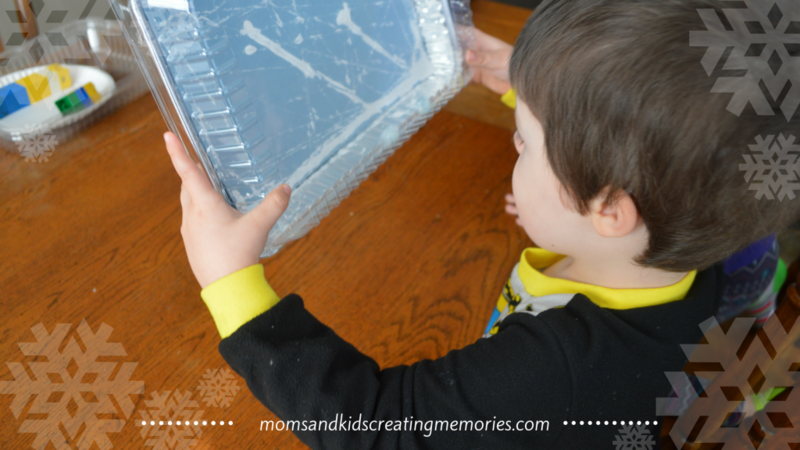 Get the marbles covered in paint, put them on the paper (probably need to be trimmed this is my favorite paper trimmer) in the container and let your kids roll them around till they get it just how they want it. Once the marble painting is done take out the paper and set it aside to dry. 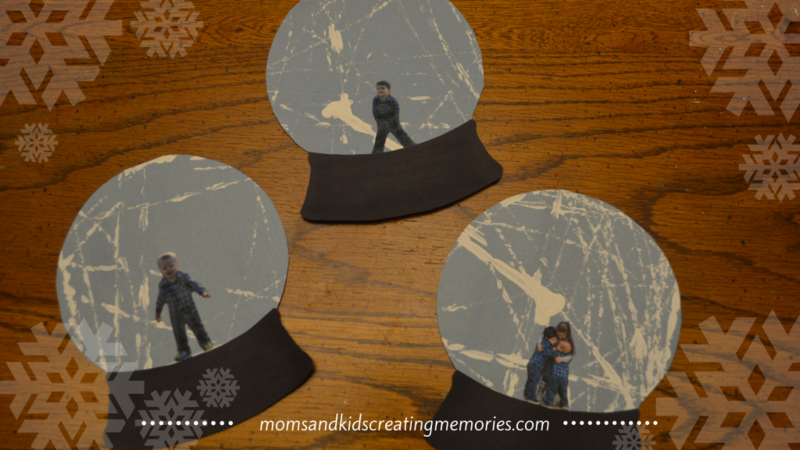 After it is dry cut out the shape of a snow globe or print off a template for a snow globe. I printed off a template and then I cut out the base of the template out of black construction paper and glued the two together. After the snow globe was cut out and glued together I printed out a picture of each of my kids. I cut just the kid out of the picture and glued it onto the snow globe. 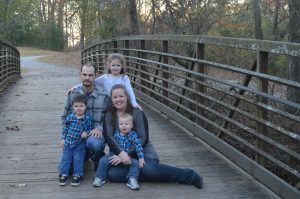 I loved how they turned out. After they were done I decided to put magnets on the back so I could decorate my fridge with them. You could also send these to a grandparent for a present. Always remember to write your child’s name and the date they made it on the back so you can look back and remember how little they were. If you don’t want to do a picture of your kid in the snow globe you could have them draw something in it. Or you could cut out shapes for them to make a snowman inside or a little house or anything their little imagination could think of. Have fun with it and let your kids be a part of the creative part of it. My six year old loves to give me ideas on how to do things, sometimes they work and sometime they don’t, but I’m glad she is being creative and figuring things out. 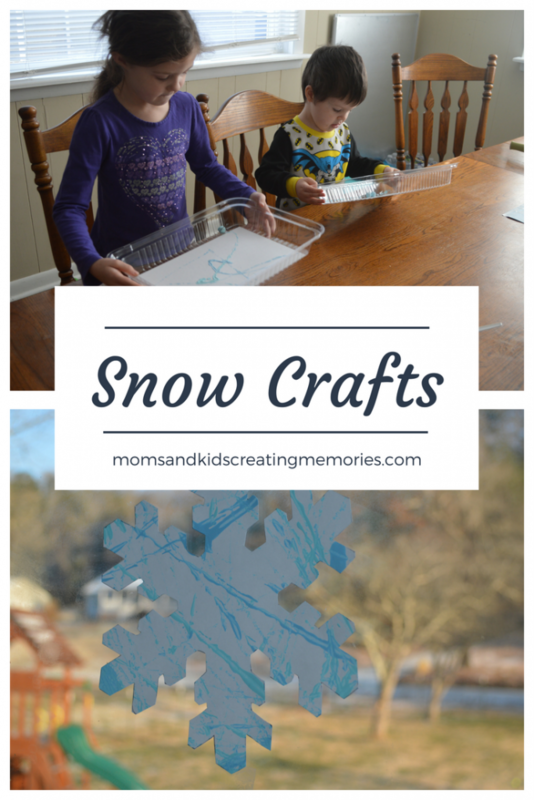 I hope you enjoy these snow crafts and that you can have some fun during this cold season where hopefully you are getting some snow as well.